Two centuries ago, an estimated 10,000 grizzly bears roamed as rulers of the California wilderness. Then came the juggernaut of humankind known as the Gold Rush. Settlers who poured into California seeking riches killed the burly giants with abandon, first out of fear, then for bragging rights. 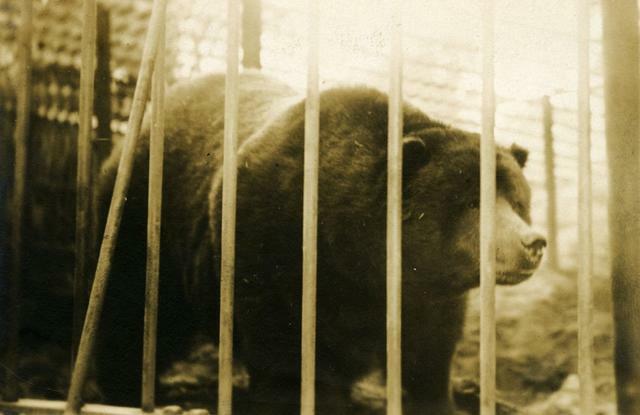 By 1889, the grizzlies were already scarce. It was in May of that year that the newspaper tycoon William Randolph Hearst had the idea to display a grizzly bear in San Francisco as a publicity stunt. He summoned one of his reporters, Allen Kelly, who was known to have some hunting experience, and dispatched him to find one. Five months later, Kelly returned to fanfare with a 1,100-pound male grizzly said to have been captured in the wilds of Ventura County. He was given the name Monarch after the slogan of the San Francisco Examiner — “The Monarch of the Dailies” — and put on display at Woodward’s Gardens. Stories in the Examiner, almost certainly embellished, told tales of the black-haired bear’s fearsome exploits. Monarch was held in captivity in San Francisco for another 22 years. But even as California’s grizzly population plummeted toward extinction, public interest in Monarch waned, said Susan Snyder, a California grizzly bear historian. 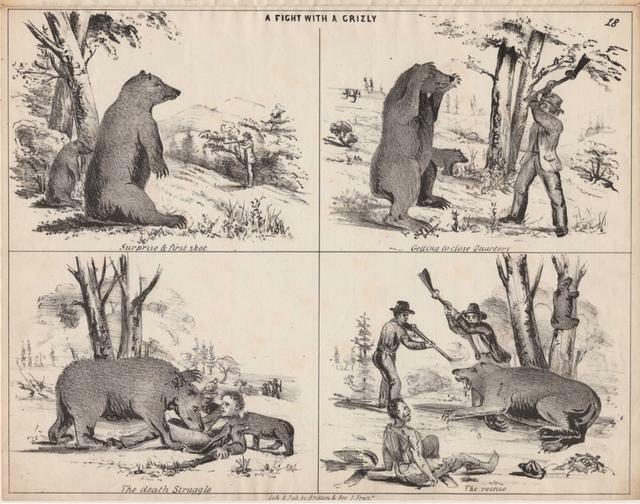 An illustration depicted a grizzly bear fighting with California settlers, circa 1850s. In time, Monarch grew old and arthritic. It was during this month in 1911 — the exact date appears to have gone unrecorded — that he was put down. Occasional sightings of wild grizzlies in California continued through the early 1920s, then never again. 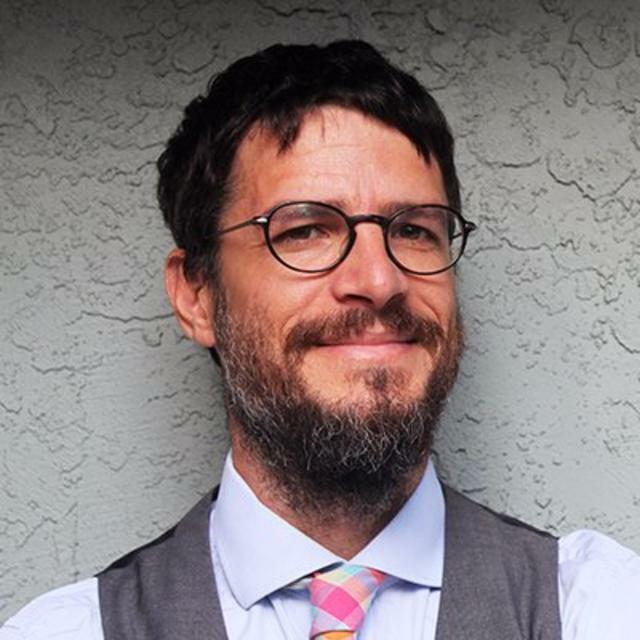 While the loss of Monarch hit the scientific community hard, the typical Californian responded largely with a shrug, Snyder said. Monarch’s bones were at first buried in Golden Gate Park, then disinterred and handed over to a Berkeley museum. His pelt was stuffed by a taxidermist and put on display for a century. The idea of the strong and self-reliant grizzly bear became a cherished symbol, emblazoned on the state flag in what was said to be the likeness of Monarch. He too became a different kind of symbol: first of ego, then of suffering, and finally of a lost California.